Finally after much deliberation my beloved Carlton frame has gone to Donard Bikes for repainting. 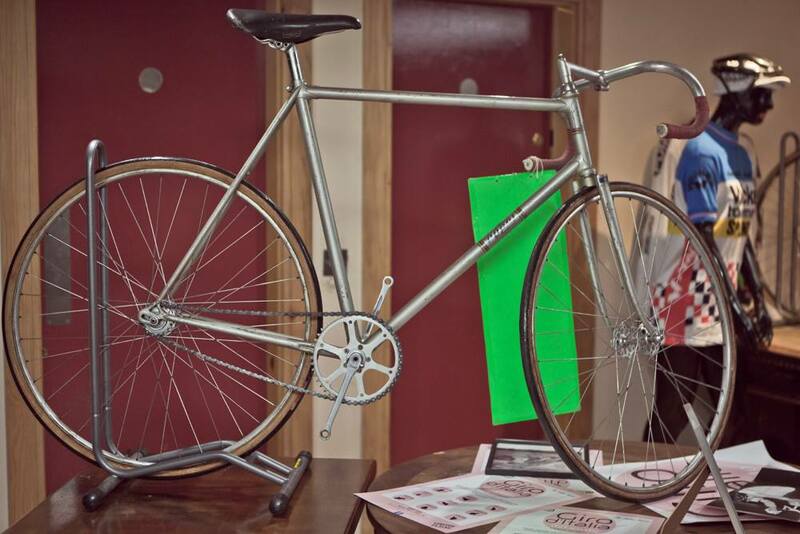 I saw their work at the Handmade Bike show in Bristol and I liked what I saw. Of course they are better known for their work in carbon repair and repainting but from what I have seen of their work with steel I am impressed. My plan is to rebuild it as close as possible to the way it was originally. Have a look at the video below which shows the start of the frame renovation process. In its original form it had a mix of what was available within my budget at the time – a mix of Stronlight/Simplex/Universal/GB and Brooks. Some of these manufacturers are no longer with us but I am sure you will agree that they did have a certain style. 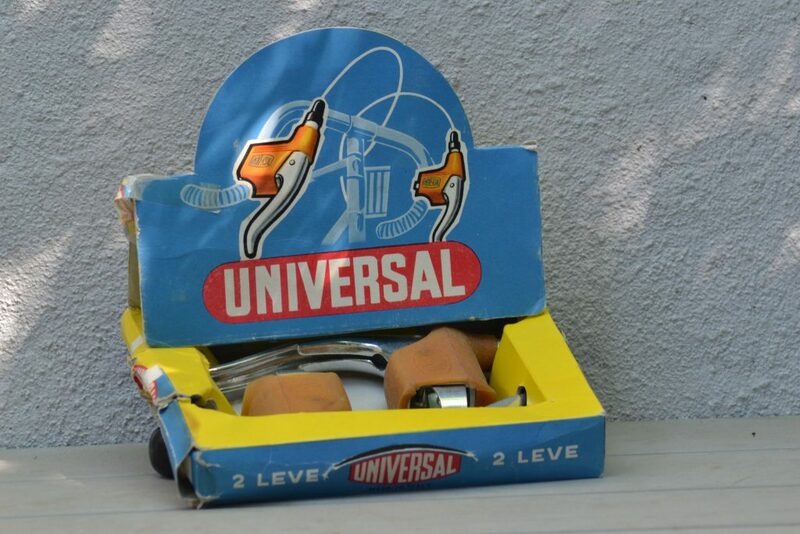 In my quest for parts for this restoration I came across a pair of NOS Universal brake levers in Berlin at Steel Vintage – always a good source for NOS parts. When I saw them in the original box it was like going back in time. 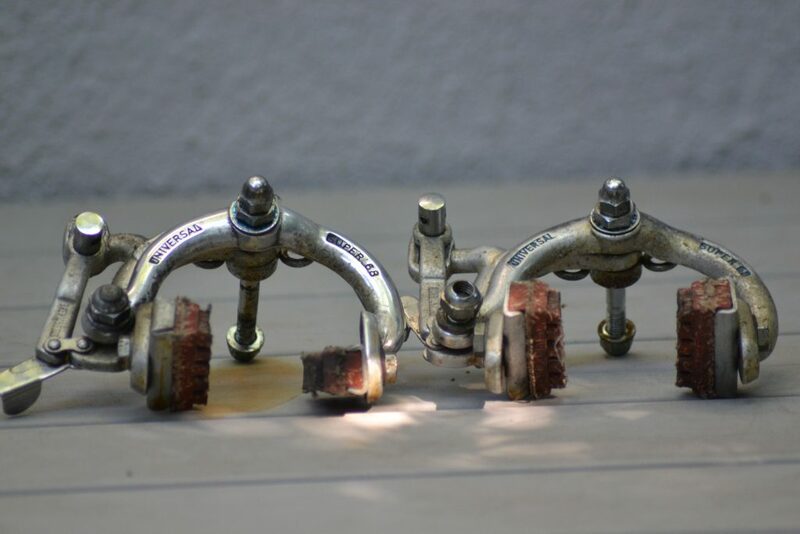 Originally I saved for months to buy a pair of these levers, now with the wonders of credit cards I could easily afford to buy them, to me they are still a thing of beauty. The problem for me will be what do I do with the box they came in? Even the art work of the packaging of some of these old parts just brings me back to simpler days. The brake calipers came from eBay, they are in perfect if somewhat unloved condition. A strip down and an hour with a polisher followed by the judicious application of lubricant and they will be good to go. I did make a start on the one on the left to see how it would look. With items of this quality I think there is no need to worry, just spend the time and you will see the results. You will notice that the ‘Super 68’ had a clever quick release mechanism, typical Italian engineering at iit’s most innovative. The Simplex gears were bartered with a friend here in Dublin. I definitely think this was one deal where I was the winner! 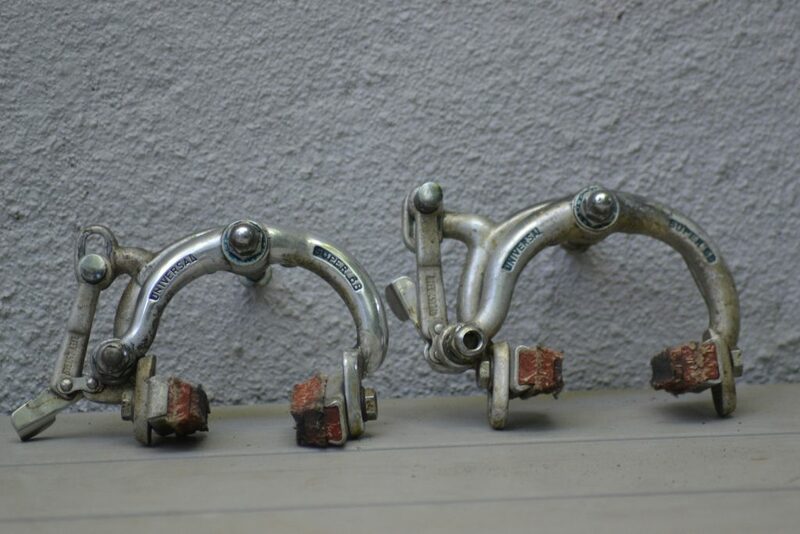 They look absolutely perfect and I am sure they will function as new, it is just a pity that Simplex are now longer with us, their products always remind me of the great Raymond Poulidor riding with his Mercier team and of course his opposition on their white Peugeot bikes. We arrived early before the bike jumble started at last years L’Eroica, while people were still setting up, one of the French dealers we know had an almost perfect Stronglight 93 chainset. It has a bit of wear but otherwise nothing that polishing won’t sort out. 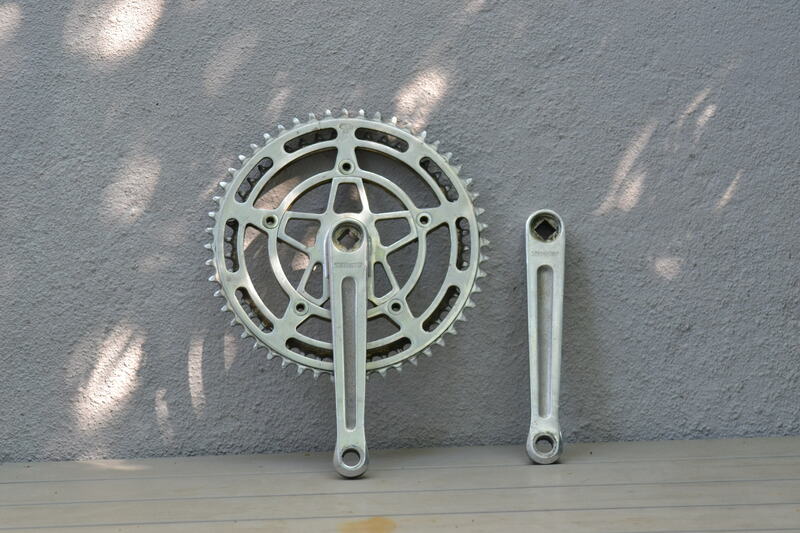 If you are ever buying one of these chainsets second hand check for hairline cracks where they bolt on to the bottom bracket they were prone to to weakness in this area. 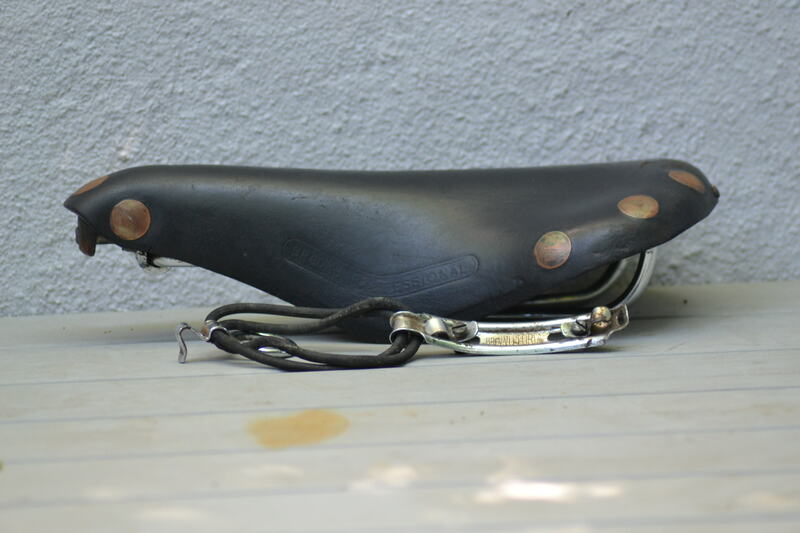 To finish off this restoration I will be using a genuine ‘butchered’ Brooks Pro saddle and I even managed to source a Vittoria spare spare tubular holder. Unfortunately the rubbers on the spare holder need to be replaced but I will have a bit of time to look for new ones before the frame arrives back from Donard Bikes. 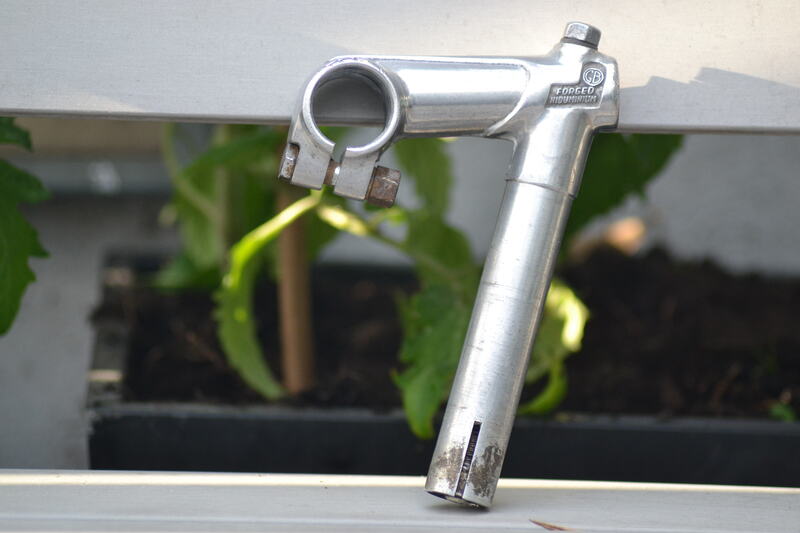 The final piece of the jigsaw is a GB Forged Hiduminium stem, these are very hard to find, I just hope the length is correct! 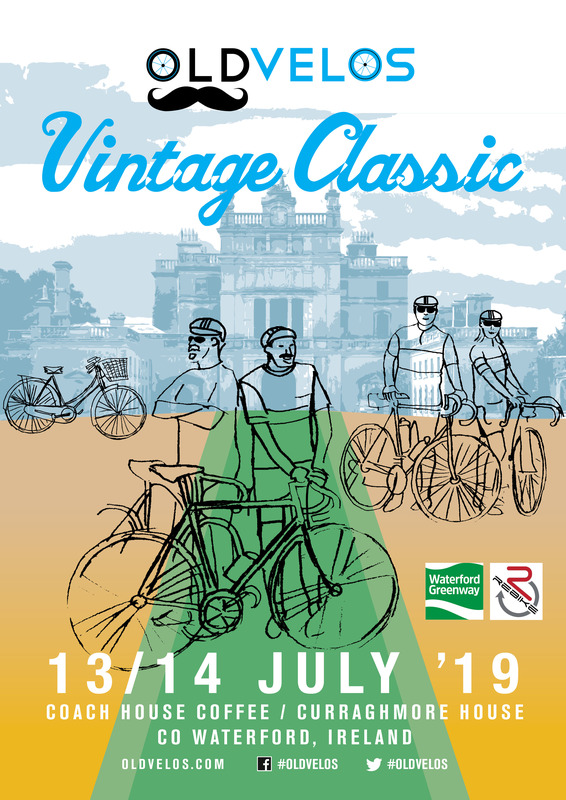 Unfortunately I don’t think the Carllton will be ready for the ‘Concours d’Elegance’ in Waterford this year but I should be able to get it on the road by September. 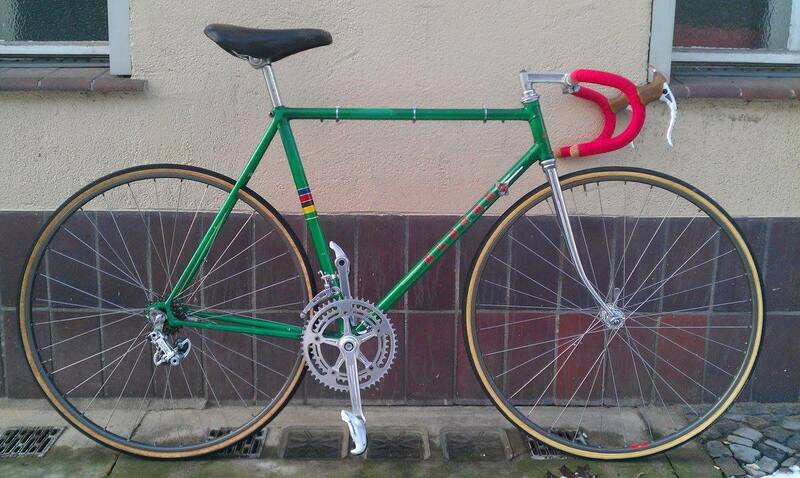 Maybe it will make it to the l’Eroica in Gaiole. In a workshop in a secret location in Berlin, Thomas Kabs is busy preparing for the VIC. 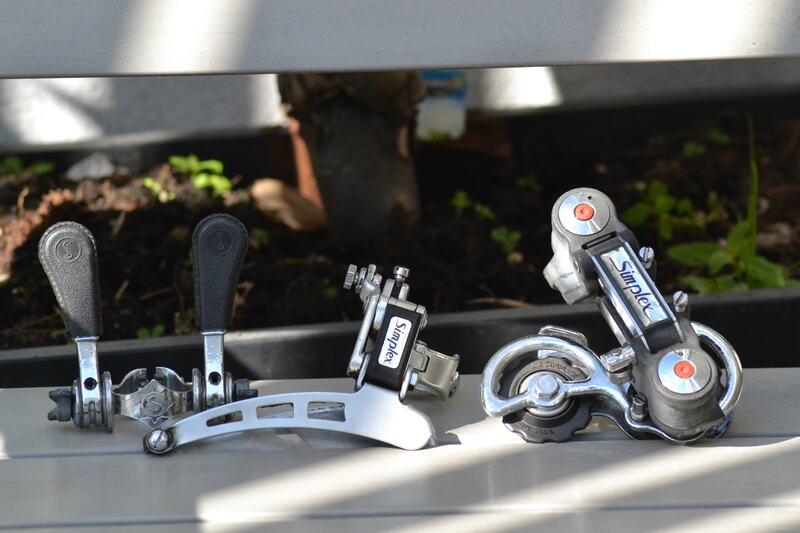 Previous story Why is this Mavic derailleur revered by Irish Cyclists of a certain age?